GDUFA Fees Announced for FY 2016 – Surprise, Surprise! The new GDUFA fees for 2016 were published today in the Federal Register (here) and there were some real surprises. For instance, the ANDA fee (that we thought was going to decrease given the fact that 2014 saw a record 1465 ANDAs submitted) soared and apparently FDA is justifying that the fee increase is due to the lower number of ANDAs that have been submitted so far in 2015 (377 through June 2015 with a straight line projection at that rate of 502 to be submitted in FY 2015). For those of you who have requested specific brand names from the FDA for your products and have had numerous names denied for reasons you cannot wrap you head around, take heart that FDA can make a mistake too. FDA reported today that there were at least 50 dispensing errors between two products that actually underwent the rigorous FDA name review process. Just When You Thought All the Questions on 180-Day Exclusivity Were Answered! Late Tuesday evening, the FDA placed a “Dear Applicant Letter” on Regulations.gov relative to a request for comments from interested and affected parties on two very interesting issues relative to 180-day exclusivity. The drug product in question is Cyclosporine Ophthalmic Emulsion. As part of its consideration, FDA is considering whether the fact that FDA did not issue an Acknowledgement Letter for this drug product until after the patent expired impacts this analysis. FDA also seeks comment on whether there are any other factors that are material to this question. 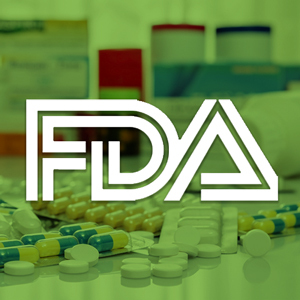 The innovator for Lubiprostone (trade name Amitza) petitioned the FDA to change the requirements for demonstrating bioequivalence of the product to require additional BE studies with clinical endpoints for various other approved indications. The FDA explained in its denial letter that it has been reviewing the approval requirements for all locally acting drug products in the gastrointestinal (GI) tract and had decided to revise its BE recommendations for all. However, its revised recommendations actually made the path to approval for a duplicate version of the drug potentially easier for generic entrants. In a Federal Register Notice today, the FDA announced the termination of permanent debarment of David Brancato. David was one of the original FDA staff members implicated in the Generic Drug scandal. He was originally debarred on January 6, 1994. Special termination of debarment can occur when there is a determination that an individual substantially assisted in and cooperated with authorities in the investigation. Yesterday, a reporter asked me how long has there been a backlog at the Office of Generic Drugs (OGD). I told the reporter that the nature of the ANDA review and approval process will guarantee that there is always a backlog. 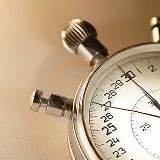 That is because firms submit applications on an ongoing basis, and it takes the OGD time to review and assess each application. he newly posted and updated Paragraph IV list, which provides the date that the first ANDA with a patent challenge was received by the FDA, has four very interesting listings, all of which make it clear that generic firms are not letting the moss grow under their feet. Today, the Activities Report of the Generic Drug Program 2015 received its first update since March 2015. However, it was only a partial update, as no information relative to amendments received for original or supplemental applications were posted. There are numerous FDA-approved combination cough syrups on the market. In addition, Codeine with Guaifenesin is an OTC monograph product that can be sold without prescription in many states. The use of these products in pediatric patients (under 18 years of age) can cause breathing and respiratory problems. June 2015 saw the largest number of approvals in a single month since the start of GDUFA, at 57 full approvals and 10 tentative approvals, while receipts were a meager 37. This reverses a long trend of receipts outpacing approvals and represents a month where the backlog actually has an absolute decrease of at least 30 applications. 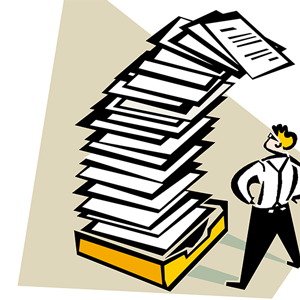 GDUFA First Quarter FY 2015 in the Books – Not Quite What Was Expected! With the first quarter of GDUFA 2015 and metrics behind us, we are seeing what FY 2015 may have in store for us, and importantly, we have observed that (at least right now) you cannot always believe all of the numbers you see. For years, FDA has been indicating that it was planning to take enforcement action against certain marketed unapproved prescription and OTC ear drops, but, yesterday, the final shoe dropped on the marketing of such products, as FDA published its intent to take enforcement action against these products in a Federal Register notice (here). 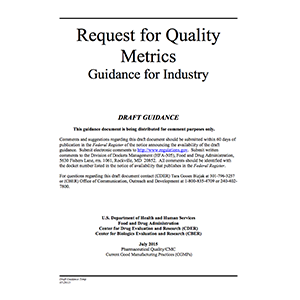 FDA first released its guidance on Controlled Correspondence Related to Generic Drug Development in August 2014. We previously blogged about this guidance (here). In today’s Federal Register notices, FDA provided its response to comments received on the Guidance document.